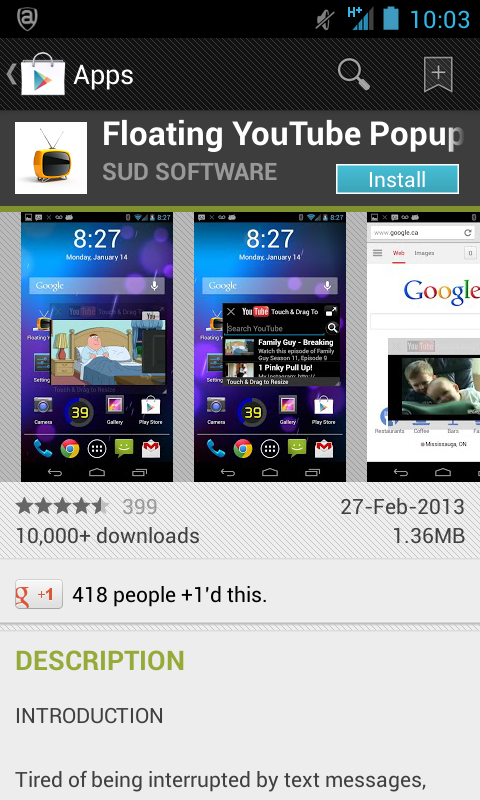 If you have seen the Galaxy S3 and Note 2 in action before you may have noticed a cool feature called pop up play. 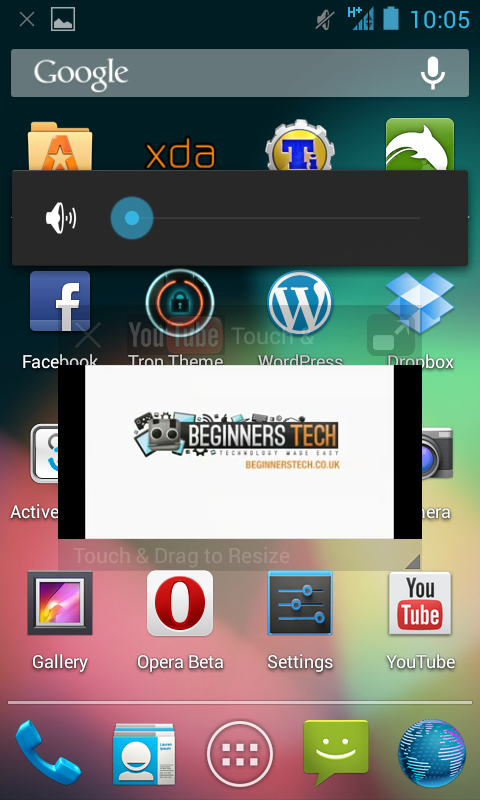 Pop up play allows the user to watch a YouTube video on a small movable window while performing other tasks. One of our readers has giving us the perfect example of how useful this feature is. she emailed in asking if there was any way she could utilise this feature on her Galaxy S2 so that she could watch a play while reading the script at the same time. Thankfully all Android tablets and phones can now have this feature by following the simple step-by-step below. Step 2: Open your YouTube app and select the video you want. 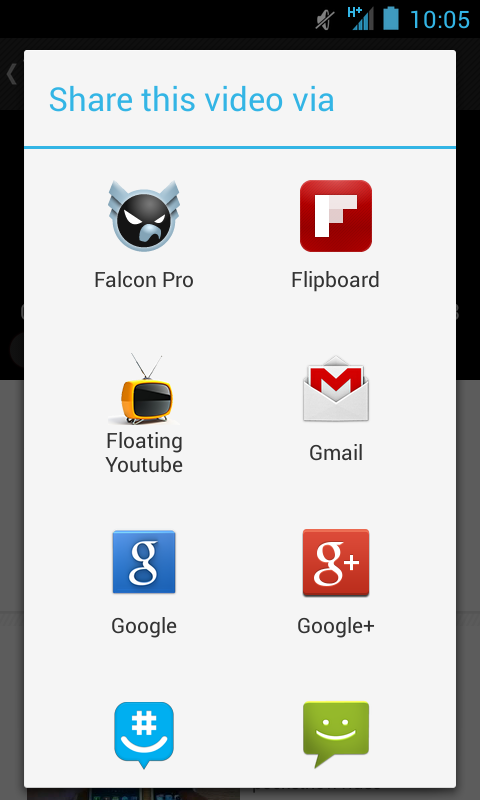 Step 3: Press the share button on the top Right of the screen and you will see Floating YouTube App in the list so select it. 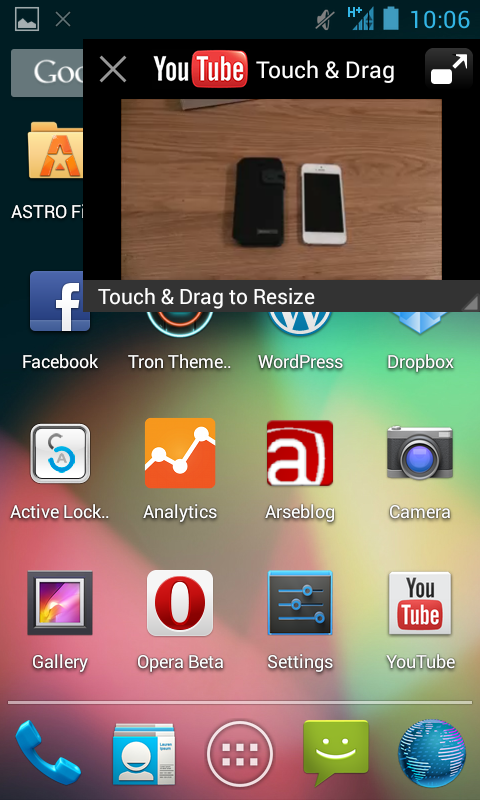 Step 4: You can now position and resize the video on your screen. This is a great app but one thing we noticed is that on some devices we tested it in the video seemed to restart if we moved it around to much.